Singapore in the 1860s is exotic and yet terrifying for a penniless Englishwoman, alone and vulnerable after her mother's death. Too pretty to obtain a governess's job, Isabella Saunders accepts an offer from a Singapore merchant to teach him English and live with his family. 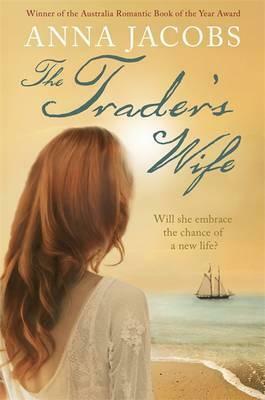 Two years later Bram Deagan arrives in Singapore, determined to make his fortune as a trader. Mr Lee sees a way to expand his business connections and persuades Isabella to marry Bram. Bravely, she sets sail for a new land and life. But the past casts a long shadow and together they face unexpected dangers. Will they find a way to achieve their dreams of a successful trading business? Anna Jacobs grew up in Lancashire and emigrated to Australia, but still visits the UK regularly to see her family and do research, something she loves. She celebrated the publication of her 50th novel, BEYOND THE SUNSET, in 2010.